In a world of mounting tensions, it is imperative that men and women of good will and kindly instincts understand the mechanisms and processes by which hate and prejudice are engendered. In uncompromising, yet carefully reasoned chapters, Dr. Tenenbaum explains the psychological make-up of the bigot�the causes that are responsible for his twisted, distorted outlook. He depicts how mean, neurotic and psychotic personalities become enmeshed in hate as an escape from reality, how charlatans, demagogues and opportunists use hate and organized bigotry as weapons for their selfish ends. Completely exploding the remnants of the already worn fallacy that hate and "murder in the name of hate� were peculiar to the middle ages, or to a specific group or nation, Dr. Tenenbaum shows that it is and has always been a universal disease, indigenous to all times and all places, pointing out that even men like Aristotle were not immune. Tracing the ugly and monstrous Hitlerian concept of the �Herrenvolk,� as expounded by Chamberlain and Gobineau, he provides evidence that Hitler was only a hysterical mouthpiece for these evil thinkers, who have influenced not only the German concept of superiority of �blood and race� but the American as well. This comprehensive book is an authoritative work, but written so simply and with such complete devotion, that even the reader totally unfamiliar with the scientific theories underlying the study of bigotry can not fail to be impressed by the findings of the researchers in this field, and justly appalled when comparing fact with prevalent distortions. 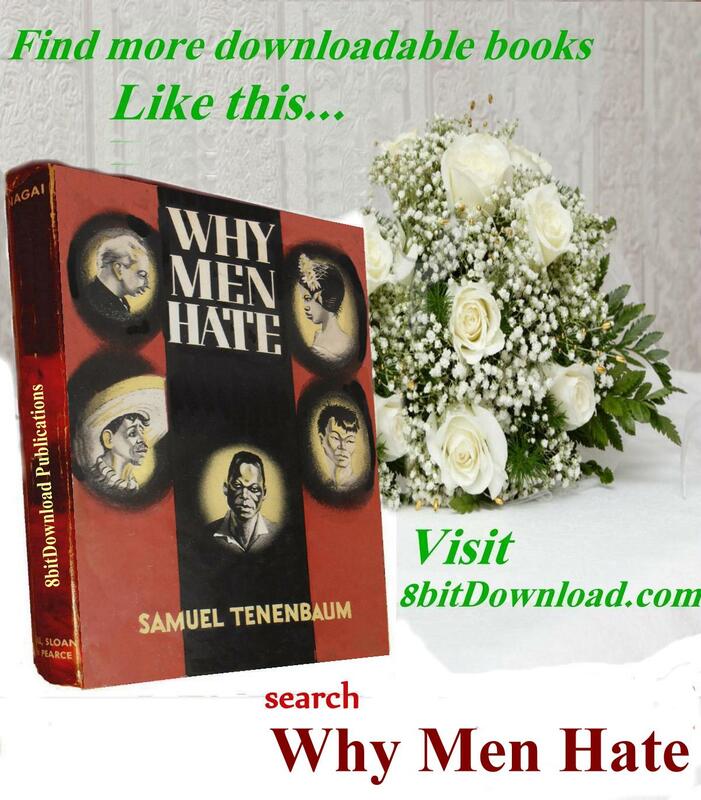 WHY MEN HATE is informative and even anecdotal in covering the history of bigotry, but it also reveals a frightening pattern of life to which no intelligent reader can react calmly. In spite of Dr. Tenenbaum�s warnings, in spite of the dark picture he presents of man's inhumanity to man, he still holds out hope. Bigotry, and its evil consequences, can be elimated. It must be, for if it is not, man's time upon the earth is desined to be only a brief an bitter tableau.